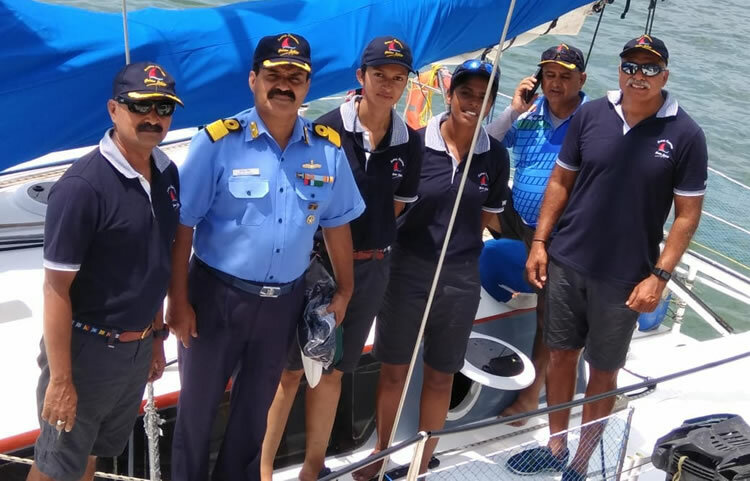 As part of a range of activities to commemorate the Golden Jubilee of Western Naval Command, a Sailing Expedition onboard LC 40 Class sailboat, INSV Bulbul, was undertaken between 26 Sep to 08 Oct 2018. 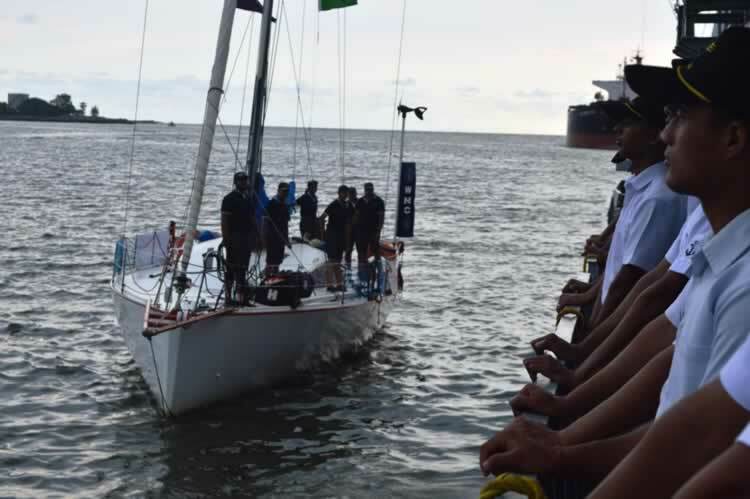 The Sailing Vessel successfully completed the Expedition and proudly entered the port of New Mangalore at 1730 hours on 08 Oct. The expedition covered the states on the Western Seaboard namely Gujarat, Maharashtra, Goa and Karnataka. During the expedition, ‘Bulbul’ made stops at the ports of Porbandar, Mumbai, Goa and Mangalore. 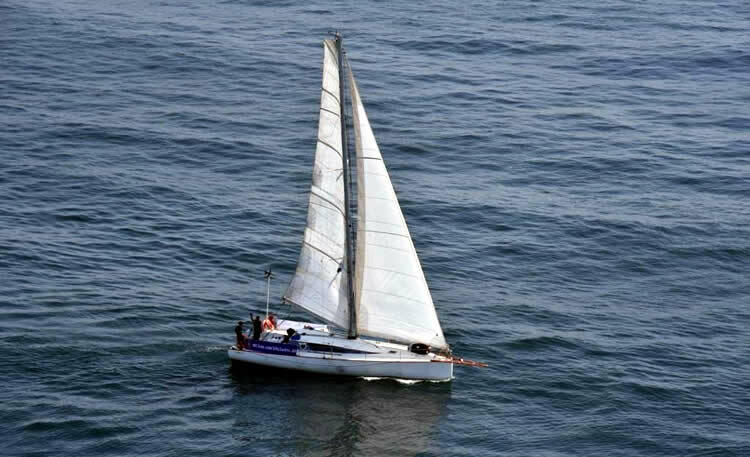 The Flag Officer Commanding-in-Chief of the Western Naval Command Vice Admiral Girish Luthra, a keen yachtsman himself, also embarked the sailing vessel on the leg from Mumbai to Goa to motivate the crew. Whilst at sea, the crew spent approximately 3 to 4 days per leg. They were exposed to the vagaries of nature and were required to sail the yacht using only winds for propulsion. Due to the limited space onboard, the crew survived on dry provisions and a limited quantity of fresh water. The non-availability of bare necessities like electricity, fresh water for taking bath or fresh provisions for meals made the voyage challenging for the crew. 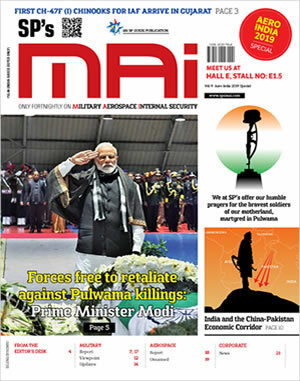 Further, encounters with rains, thundershowers at sea and strong winds generated by passing weather systems added to the complexity of survival at sea which the crew handled with aplomb.